It’s the beginning of the summer here at Wolf Trap, which means ushering in another season full of fantastic performances, both at the Filene Center and Children’s Theatre-in-the-Woods. And while the halls at Wolf Trap are buzzing with excitement about providing the community with a summer full of opportunities to enjoy the arts, Wolf Trap’s education programs continue to focus on fostering unique arts education experiences for students of all ages. 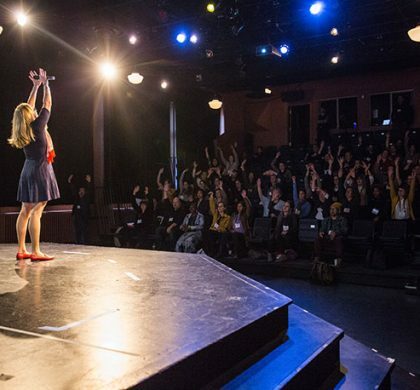 One of the ways Wolf Trap carries out that mission in the community is through its High School Grants program, which recognizes six exceptional performing arts educators for distinctive and impactful arts projects, brought to life by their students. 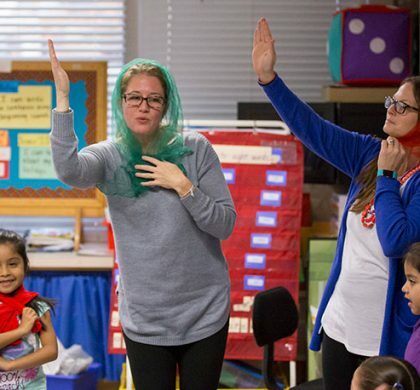 This year, Wolf Trap awarded grants to educators from Fairfax, Arlington, and Loudoun counties in Virginia; Prince George’s and Montgomery counties in Maryland; and the District of Columbia; to pursue transformative arts projects. In many cases, teachers led students through projects that would not otherwise have been possible without a Wolf Trap grant. Among this year’s grant projects was an innovative initiative that brought together renowned local talent to promote positive lyrics in modern music genres like hip-hop, rock and R&B. 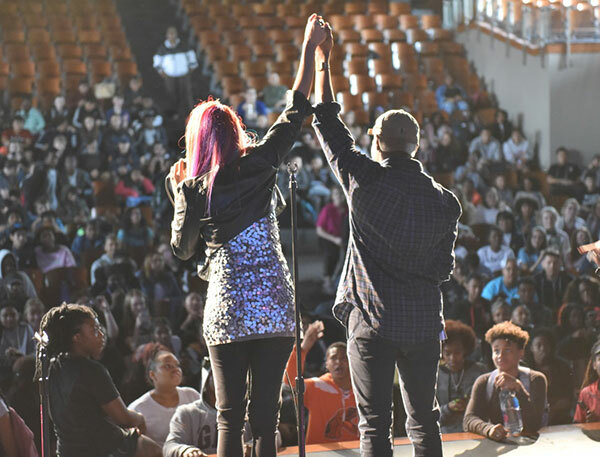 Lori Williams, Music Teacher at Woodrow Wilson High School in Washington, D.C., welcomed artists such as long-time backup singer and percussionist for the Rolling Stones Bernard Fowler, and Sylver Logan Sharp, former lead singer of the disco group Chic. 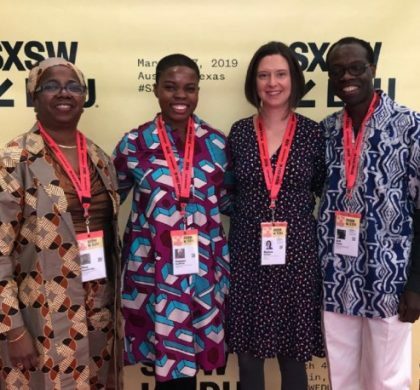 Guests participated in a panel discussion on lyrical content and video imagery as it relates to violence, gender rights, and profane language. Following the panel, Williams’ students performed original music with positive lyrics in the various genres. 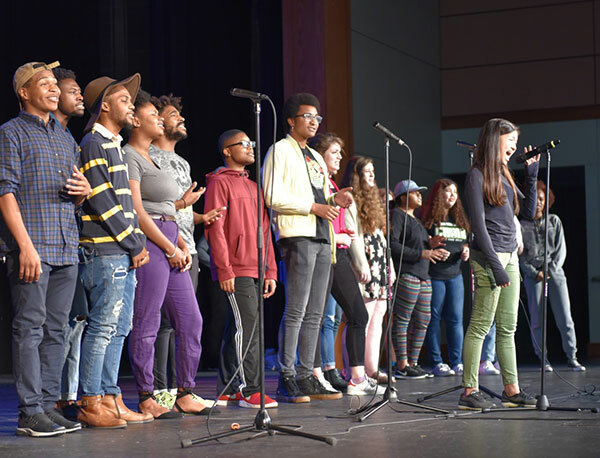 Learn more about all of our 2017 Wolf Trap High School Grant recipients!